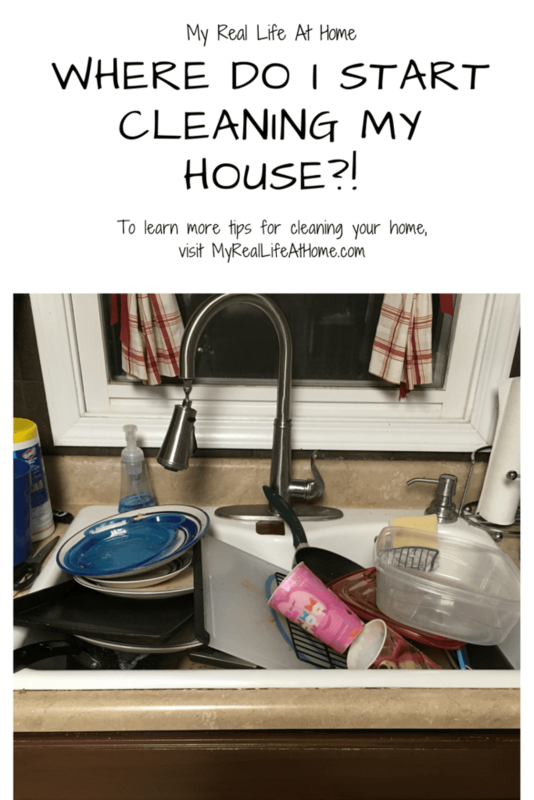 Have you ever had the thought “how to clean my house”? If you are like me, that thought has rolled around in my mind over and over throughout the years. It seems like with the kids running around, both my husband and I working from home, add in a large dog and there is always a mess. It’s the start of another new year, which means another new resolution. This year, I am going to try to focus on organizing and cleaning my home. Although, I am looking at this as more of a lifestyle change than a resolution. It seems like my resolutions are just made to be broken. Can anyone else relate to this? 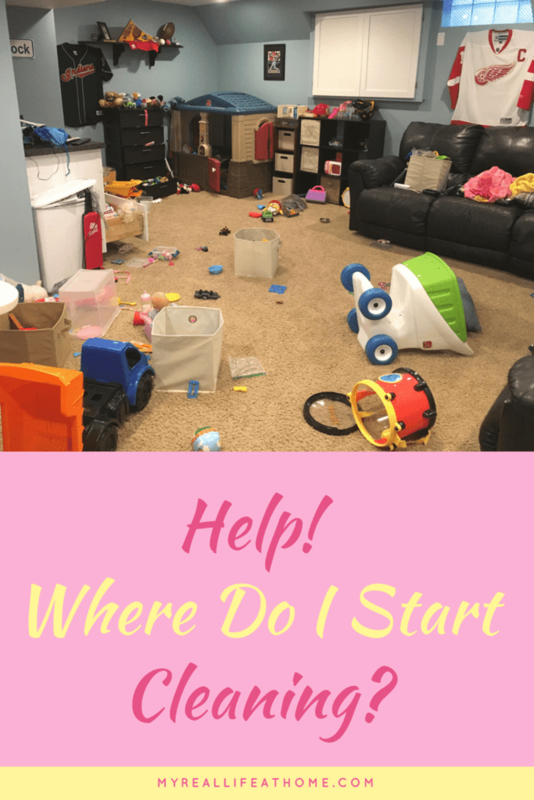 I often look around my house and struggle with where do I begin and how to clean my house? Let me be honest. I sometimes feel defeated because I experience the satisfaction of getting a room cleaned and it seems like I turn around a few minutes later and it’s a mess again. (Usually that is a result of two kids running around, however, I can’t always blame it on them.) Does that ever happen to you? 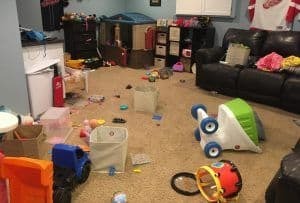 I have realized though that if I don’t train myself to make it a priority to clean and organize, my kids will never understand that life lesson either. I can’t expect more out of them than I do myself. I have spent hours reading articles and books on organizing, de-cluttering, etc. 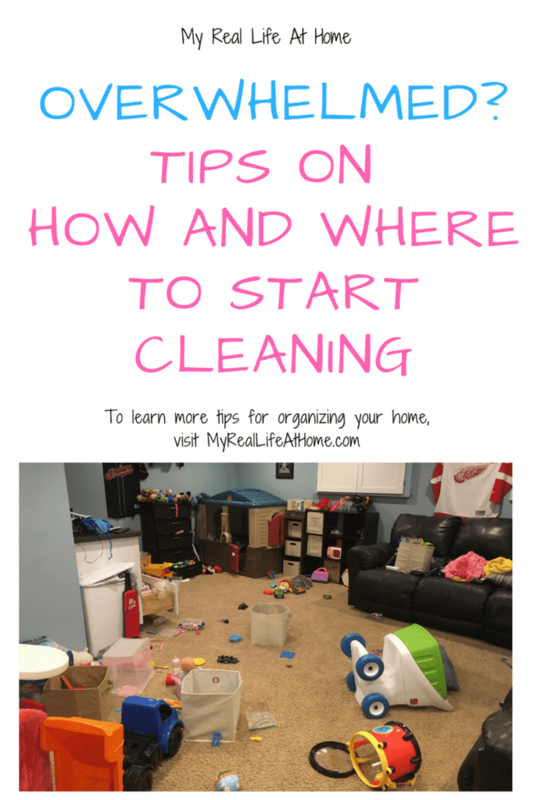 This takes me to my first house cleaning tip – just start! I guess it’s the philosophy that if you don’t start, you can’t finish. Pick any room or section and just start. Maybe it’s just me but I can sit on the couch, look around and ponder where should I begin. I can sit there and tell myself, I don’t have the time right now to make a difference so why start? I then realize that I’ve been sitting here for 15 minutes telling myself I don’t know where to begin cleaning and that it wouldn’t be worth it when in reality I could have spent those 15 minutes cleaning or organizing. I need to remind myself that even if it’s 5 minutes of cleaning, it really isn’t wasted. Start small and build on it. I find there are certain things that if I do every day, I feel better. I feel more calm and peaceful if I can look around and see clean and organized spaces. If my house is in chaos – dishes all over the kitchen, toys spread all over the floor, paperwork everywhere, etc – my life feels in chaos. That’s one of my reasons why I am working towards having a more organized and cleaner house. Who doesn’t want to feel more calm and peaceful? Obviously having a clean house doesn’t solve all our problems but if I am able to walk into difficult situations in a calm mindset, I deal with those problems better. For example, if my kitchen counters are cleared off and my sink is clean, I feel calmer and for me, calmer means happier. This is something I will be trying to do every morning and every night. 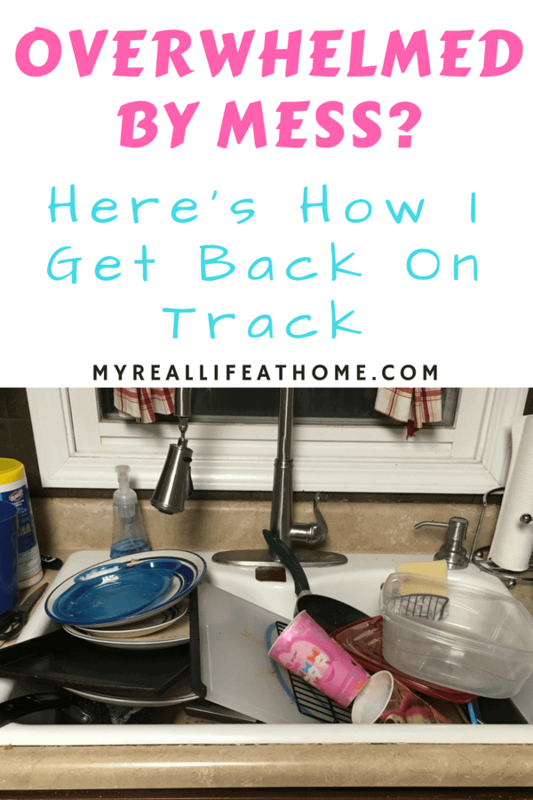 Just before writing this, I walked into my kitchen and there were dishes everywhere! I got that immediate “ugh, what a mess”. 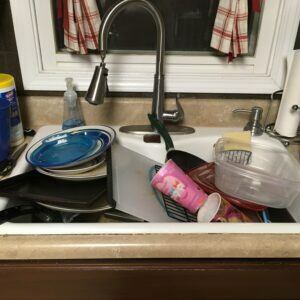 I made the decision to do the dishes before starting something else. While I looked at what seemed like a giant mess and that it’s going to take a while, in reality, I was done in about 10 minutes. I find that things I don’t like doing (cleaning, for example), I always overestimate the time it will take to do. If I just remembered that it won’t take me as long as I think, I would probably start sooner and not procrastinate. This goes back to Just Start! 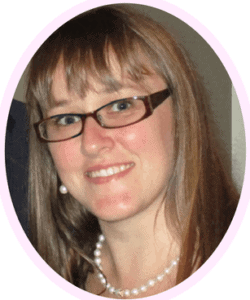 There are a few simple, quick housecleaning tasks that I am going to try to do every day. Like I already mentioned, my kitchen sink and counter are on that list. Wiping out the bathroom sinks at night is also on my list. I don’t know if you have kids or if they are like mine, but I feel like more toothpaste ends up in the sink than on their toothbrush. If you have a solution to this problem, I would love to hear it! While I hate looking at it, I also don’t take that minute (literally) that it would take to wipe it out. Also, doing this ongoing will help since the more time it has to sit and dry, the harder it is to clean. So, here’s to wiping up toothpaste on a daily basis. A couple years ago, I made a house cleaning plan. I thought that if I had a plan, it would be easier to stick it. And it was! Unfortunately, my lack of commitment stopped that. And then I was in that place again … where do I start? 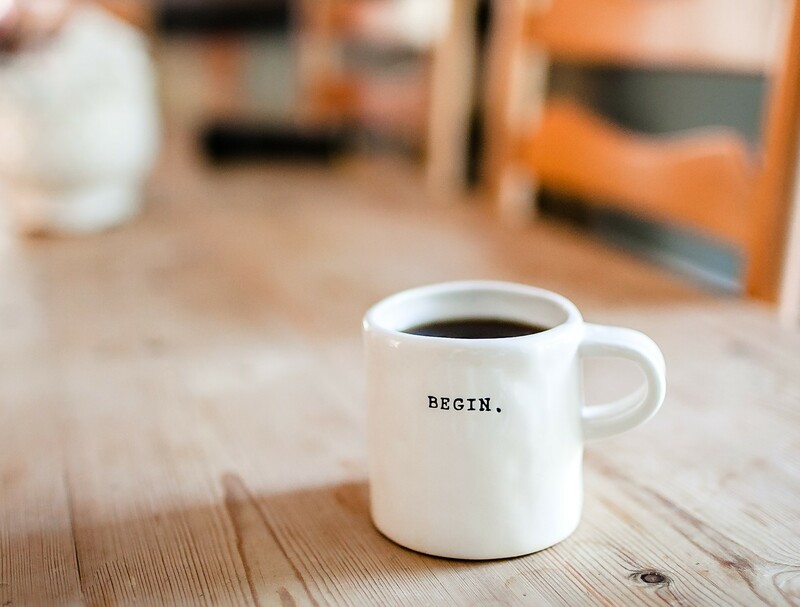 Once I got into the routine of following my plan, I was surprised at how little time it took compared to the time I thought it would take. I am starting to see a theme here. My whole house cleaning schedule includes daily, weekly and monthly tasks. 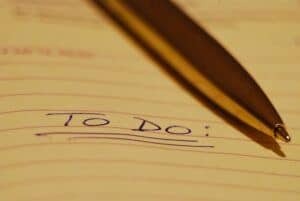 You could also add quarterly or yearly tasks to your list. Your cleaning schedule should be customized to suit your needs and time. 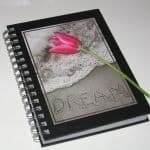 Whether you are a stay at home mom or working wife, alter your plan to something that you can accomplish. Nothing is worse than setting a goal and having it impossible to complete. My cleaning schedule is easily doable if I just put my mind to it! This is where you can help me! I am using this website to help hold myself accountable and to follow through with my cleaning and organizing goals. Rome wasn’t built in a day, your house didn’t become a big mess (in my case) in a day and it won’t be cleaned or organized in one day. And that’s okay!! Don’t stress about it. We all have different personalities and schedules. A friend of mine enjoys cleaning to reduce her stress. Maybe that is like you too? I am the complete opposite! The more stressed I am, the less cleaning I want to do. Find me a couch and a good TV show and that’s where you will find me. The point is that you need to find what works for you. What do you need to be successful at cleaning and organizing? For me, it takes more commitment and determination than it does for my friend. I just need to realize that and work with it. So, I guess all this boils down to a couple thoughts. Have a plan and just start! If I just start and take one step and one day at a time, I think we can all have success with our house cleaning. I would love to hear your thoughts and stories below. 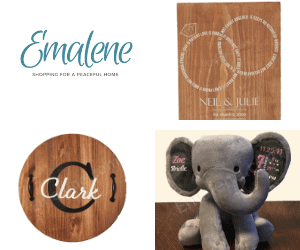 Do you have something that motivates you to clean or organize? 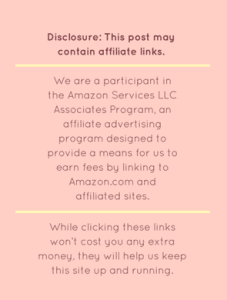 If you have any questions, please enter them in the comment section below and I would be happy to answer them. I love this article. I like keeping the place clean. It makes me feel good. My goal when I leave a room is to leave it how I found it, clean! Great website! Great advice and I always say to myself as well, just start here! Clean up one space only. Piece by piece it all comes together. However, if you look too closely you will never finish for e.g. I would start cleaning my house from 11 morning when I was out of work. I did not stop one day nearly midnight! My gfriend had to tell me to stop lol. So, just start and put on some music and try not to over do it. Great advice about not looking too closely! Definitely can throw you off track! I always start with my kitchen sink! There’s just something about having a clean kitchen without a stack of dirty dishes. Agreed! I don’t know why but I find it mentally calming when my kitchen sink is clean. I just cleaned my whole house yesterday and got rid of TONS of things! I had a plan and followed through with action 💪🏼 Great tips! It’s amazing how much more I accomplish when I have a plan! Thanks so much! I have such a hard time ihr my everyday tasks that i can never get to the deep clean stuff. It helps when I write a list, do everyday cleaning and then complete one bigger thing as well. That’s a great way to do it. I find that if I don’t try and do everything at once, I don’t get overwhelmed.